Our core business is based around Transformer manufacturers, Control Panel manufacturers, Lighting manufacturers, Cable Assembly manufacturers, Electro-Medical Equipment manufacturers and all types of electronic industries. Rayton is ideally located to service the whole of the UK and Europe. We offer KANBAN delivery service to many Customers through our own transport and all other deliveries are made through our partnership with UPS, the approved logistics company to the 2012 Olympic Games. Our investment in capital equipment has resulted in us remaining competitive in terms of price and allows us to offer very short lead times. Technical advice at the design stage is offered in an effort to ensure the customers requirements are produced at the most competitive price possible. A huge range of 10G, 40G & 100G Copper, Power, Fibre and Security cable assemblies for use in your datacentre, including the world’s thinnest CAT6a/7 leads, and the widest choice of power cords available in many colour-ways, connector and length options, including LSZH. We distribute a comprehensive range of cable management products, including the innovative space-saving Neat Patch units, and with over 30 years global sourcing experience and long term direct relationships with factories in Asia, we have access to over 1000 x individual cable management products to keep all your cables well organised and easy to access quickly, saving your IT team time and money. Cost effective Layer-1 security upgrades can be achieved by installing our simple range of locking copper network and fibre optic cables, along with fully locking power cords compatible with all the leading PDU’s typically installed in the datacentre. We also have port blockers to lock out any unused RJ45, Fibre, USB, RS232, DVI, and VGA network ports, to ensure no one can access your open ports. Some of these products were designed in conjunction with the NSA for the highest levels of protection. DataCentre Products work closely with customers in a wide number of industries, including Datacentre providers and management companies, data cabling installers, IT distributors and trade resellers, big and small IT teams, all with the aim of offering an extraordinary range of quality products at a great price, from stock or sourced very quickly. 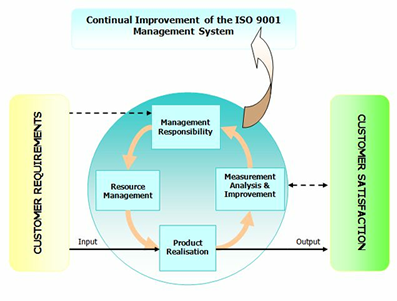 In order to supply to these industries we have to be ISO approved. In November 2016 we were proud to be accredited with the new ISO9001-2015 standard.